I haven’t posted, or even read much on this website before because I’ve just never been much into social media (I don’t even have a Facebook page). But for the benefit of those considering the path that I’ve already taken I decided to tell my story - why I chose to have limb lengthening surgery, and now, two years later, how things have turned out for me. 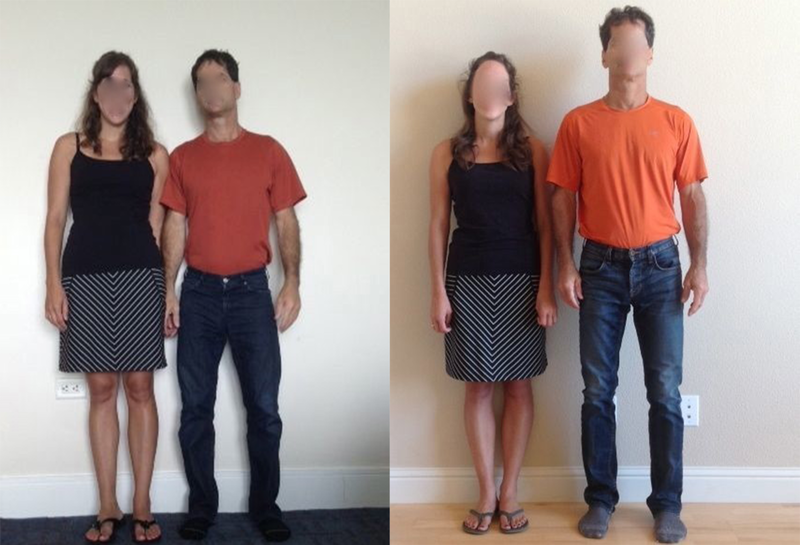 First of all I’d like to say that limb-lengthening surgery hasn’t made me happy. I don’t think it will make anyone happy; you have to start out that way. (See “TED.com, Dan Gilbert on happiness). But what it has done is kept me from being robbed of that happiness on a daily basis. Like most people who are significantly shorter than average, I used to suffer from the continuous onslaught of prejudicial comments and disrespectful attitudes towards short people which abound in our media and permeate our culture. I’m no longer affected by those comments. I still empathize with those who are, but those comments no longer perturb my own personal happiness, and that has profoundly changed my life forever. I began the process of limb lengthening in the summer of 2013; all four lower extremity segments at once, femurs and tibias, using the Precise One nails through the Paley Institute. I initially lengthened each segment about 1.85 inches for a total gain of 3.7 inches and remarkably, everything went without a hitch. Within twenty weeks after the surgery (about five months) I was out of the wheelchair, and by a years time, with all four nails still in place, I was back to exercising at a pretty intense level (trail running, weight lifting, and even lifting weights with my legs, see my posted video “Four Segment Lengthening – One Year Post-op). My initial concerns, like most people considering this operation, was not to go so far as to become disproportionate (high leg length to thorax ratio) and not to exceed my soft tissue tolerance to stretch, resulting in tightness or contractures. As it turns out, a year after the initial operation neither was a problem. I had started out with very short legs to begin with, so even after lengthening almost four inches, my legs were still not disproportionately long for my thorax, and I was still very flexible (see my posted pictures showing me stretching). Given that fact, and since I hadn’t yet fully extended the nails (still in place), I decided to further extend the femurs to almost the full capacity of those nails (64 of the 65mm, which was an additional 0.7 inches). That second procedure was done in November of 2014. Dr. Paley removed the nails from my tibias but left the femur nails in place, and performed repeat osteotomies on the femurs in preparation for further lengthening. Again, the whole process went without a hitch - within 55 days (less ten two months) I was out of the wheelchair, and by 16 weeks post-op I began running again. Then, eight months after the second operation, Dr. Paley removed the femur nails, and at that point, two years after having started the whole journey, I was finally done. How would I describe the experience? Well, It wasn’t just difficult; it was the toughest thing I’ve ever done (and I’ve done a lot of tough things). At the same time, I’m extremely happy I did it - that I somehow managed to muster up the courage to go through with it, because I’m very happy with the results. In fact, I couldn’t have asked for a better outcome, and it’s mostly thanks to the skill, patients, experience and dedication of Dr. Paley along with the extraordinary team he has assembled there in West Palm Beach, Florida. I chose Dr. Paley primarily based on my goal of minimizing risk and maximizing outcome. Being a physician myself, I was at an advantage because I knew the general principles of risk reduction in medicine; whatever the procedure, the centers that do higher volumes tend to have lower complication rates. Additionally, the risk is lowest with surgeons who are well trained, very experienced, and very specialized. In other words, the surgeon should be focused (subspecialized) on your particular procedure, and have an excellent results record for having done a large volume of that procedure for a very long time. That exactly describes Dr. Paley. His credentials are impeccable, and in the orthopedic surgery subspecialty of limb lengthening, his experience and focus are unmatched. Knowing this, there was really never any question in my mind regarding who would be my surgeon. Dr. Paley was the obvious choice. I didn’t fully realize, though, when I started the whole process, how important the whole team was; his surgical colleagues, the physicians assistants and especially the physical therapists. I quickly found out how crucial they were to my recovery. The Paley Institute’s physical therapy team is awesome. They are trained and focused in the particular needs of the limb legntheing patient. That means that they not only know the unique thereapeutic requirements following that procedure, but they also are experienced in and trained to recognize potential complications specific to that type of surgery. A basic tenet in medicine is the best way to treat a complication is to catch it early, and that’s one of the key benefits of the daily physical therapy sessions there with that team. From the first day post-op until I was out of the wheel chair and walking I received that daily physical thereapby, twice dailey, if needed, and if the physical therapists had any concern about a potential or suspected complication, I would just wheel down the hallway to see Dr. Paley or one of his colleagues. I am sure that the daily physical therapy I received was a major contributor to my recovering so well, and why I now have the same range of motion that I had started with before adding about four and a half inches to my legs. Before the operation I ran triathlons, mountain biked, and I was an avid skier. I’m now back to trail running, weight lifting with my legs, and this winter I fully expect to be back up at Tahoe and Vail, skiing the toughest slopes, and racing triathlons again. And the great thing is, as I do these things now, and in my daily life, I am no longer burdened by feeling vulnerable to having my happiness pulled out from under me by someone’s harsh, insensitive comment about my stature, or from one of those ubiquitous disparaging “jokes” that so often appear in the media. The best way to describe it is, it’s as though a giant weight has been lifted off of my shoulders. Have it done at the Paley Institute. I’ve put this first because it is the most important. If ever there was a time in your life when not to be miserly, this is it, so please, don’t go abroad for this, and don’t focus on the money. You’ve got to choose your surgeon as if your whole future depends on it (because it does). When choosing your surgeon, use risk reduction as the chief criteria (as I mentioned above, that means your surgeon must be extremely well credentialed, with a long history of success at this particular operation, prudently using cutting edge technology, and implementing the team approach with a very strong physical therapy department to help drive results. To me, that exactly describes Dr. Paley. 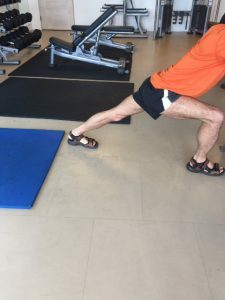 I can’t speak for other centers, but if you do choose Dr. Paley, follow his advice as to how much you can safely lengthen as you go along, and what the best sequence is for you (femurs first to 2 inches, then tibias to two inches a year later? Femurs and tibias both simultaneously?, only femurs?). He’s the one with that huge database of experience in his head and hands. That’s why you can trust him. If you can achieve your goals by just lengthening femurs, that would be ideal, because, while tibias can certainly be safely lengthened (with the right surgeon), the process is more problematic. If you decide to lengthen the tibias and the femurs at the same time, I would still recommend separating the two initial surgeries, rather then having all done at once. In other words, if you choose not to stagger the two lengthenings (femurs and tibias) over a year, and, instead, have them done at the same time, I recommend getting the tibia nails placed first, then, three weeks or so later, get the femur nails placed. The reason is, the operation is very stressful to your body, so separating these two stressful operations allows your body to rebound. It breaks up the stress dose to your body to more manageable levels, and therefore significantly reduces the risk. Incidentally, breaking up the operations like this doesn’t increase the overall time for lengthening. Tibias lengthen slower then femurs, so getting a head start of a few weeks with the tibias means that you will reach the two inch point (for a total of four inches, for example, if that’s your goal) at about the same time for both tibias and femurs (even starting the femurs three weeks later). Prepare long in advance for the operation. Train, train, train. 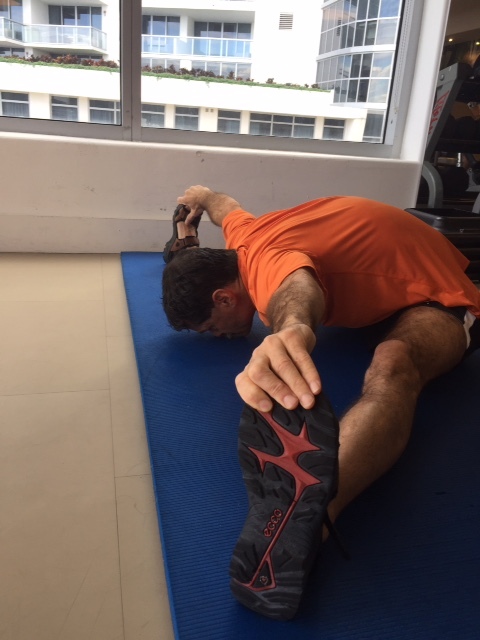 Stretch you soft tissue as much as you can in advance and get your cardio-fitness up to race level. Being physically fit will always benefit you, and it will certainly help you through the surgery and the recovery. In the days immediately after the operation, watch your bowel health carefully. The painkillers you’ll likely need slow gut motility and can cause constipation. That’s not a problem as long as you address it as needed, which means, if you can’t go, give your self an enema. I know, it doesn’t sound like fun, but it’s better to catch it early rather then become severely constipated and have to do it then. Plan to stay at the Paley Institute (assuming you decide to have it done there) for the entire lengthening and consolidation period until you are up on crutches. I just think that’s the safest thing to do; it keeps you out of harms way, and you get that daily physical therapy from The Paley Institute experts. Go in with a strong social support, ideally with someone there with you for at least for the first month (wife, friend, mother, father, whatever). Those first few weeks can be disorientating (I know they were for me). You are probably going to need a significant amount of painkillers post operatively, and sleep aids as well, and even then you still may not get adequate sleep. All those meds, the sleep deprivation and your bodies stress response to the trauma of the operation can all take it’s toll on you, and that’s were it really helps to have the social support. Lastly, and I’ve got to re-emphasize this point - think “RISK REDUCTION”. To me, that means having it done by Dr. Paley at The Paley Institute and stay there until you are consolidated enough to be up on crutches. I hope that sums it up for you, sort of the 30,000 foot view. Feel free to ask me anything, and I’ll get back to you on it through these threads, but for now… I’m going for a run! Yahoo!